The Old Governor’s Mansion served as the home of Georgia’s governors from 1839–1868. Considered to be one of the finest examples of High Greek Revival architecture in the United States, the mansion was the stage on which the myriad complexities of politics and culture played out within the Empire State of the South. 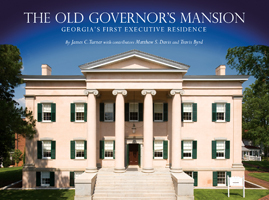 This book focuses on this history of the mansion, its occupants both freed and enslaved, and the recent preservation work that has fully restored this National Historic Landmark Building. Lovers of history and historic preservation will enjoy this look at one of the nation’s truly important sites.